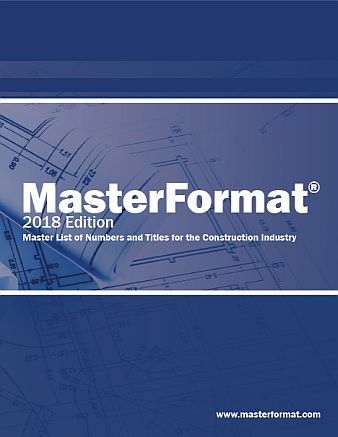 New MasterFormat® 2018 edition is now available for purchase. MasterFormat®, a publication of CSI and CSC, is a master list of numbers and titles classified by work results. It is primarily used to organize project manuals and detailed cost information, and to relate drawing notations to specifications. - MasterFormat’s approach to classifying project manual information makes it the most widely-used system in North America. - MasterFormat can be found in data file naming, cost data applications, drawing notes, and for facility management. - All construction project participants typically use or have knowledge of MasterFormat. - Use of MasterFormat will lead to timelier project completion due to fewer errors and better communication among the various project teams. CSI endeavors to safeguard the efforts of its members and others who have contributed to the development of its documents and standards by protecting its intellectual property rights. For more information and license terms, please contact CSI at masterformat@csinet.org.